Here is an excerpt from a post by Josh Linkner at his blog. In Requiem for a Nun, William Faulkner offers another perspective: “The past is not dead. It’s not even past.” My own opinion is that both are correct but for different reasons. Everything said and done immediately becomes the past (as the words of this sentence thus far already have) but we can live now. As have “As have”….However, I think we need to be in the moment, mindful and appreciative of however much time we have. Carpe diem! Regret is the worst human emotion, since there is absolutely nothing we can do to change history. Dwelling on the past can eviscerate your ambition and is a fast path to unachieved dreams. It’s time to focus on the present and commit to a brighter future. It’s time to stop dwelling in a pit of despair, moaning over squandered time and lost opportunity. It’s time to release the burden of the past and seize today’s opportunity. It’s time to drive change and create your best life. The past is dead, but your future is very much alive. Seize it. 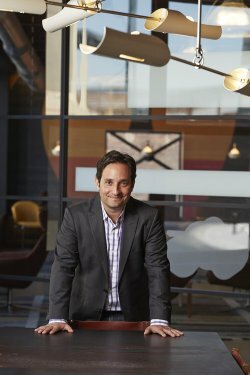 Josh Linkner is a venture capitalist, tech entrepreneur, New York Times bestselling author, and top-rated keynote speaker. As Founding Partner of Detroit Venture Partners, he helps startups disrupt the old guard while helping to rebuild his hometown of Detroit, Michigan. Josh is on a mission to drive creativity, innovation, and reinvention. And he also plays a mean jazz guitar. For more, please click here.